These are our widest printed poly satin lanyards with a 25mm width. 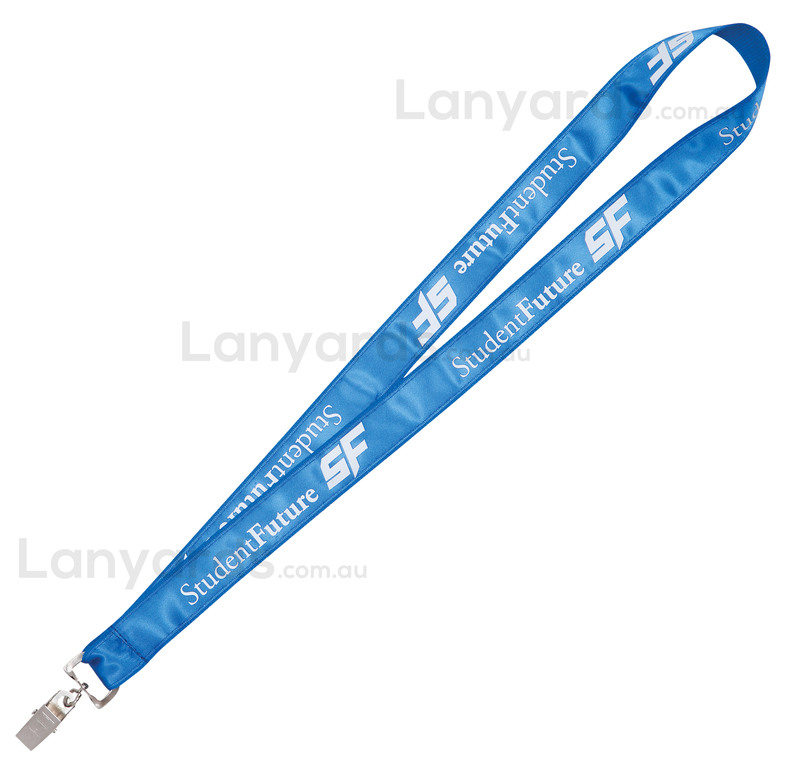 If you have extra fine details in your customised logos or design, then these are a fantastic choice in printed lanyards. The two layered approach gives you a polyester base and a stitchec satin ribbon to the top. A wonderful option for corporate or hospitality use, they have proven popular for fashion events or high end corporate evenings. Add some of our optional lanyard attachments such as a phone holder or safety breakaway at the back for added OHS and you've got a lanyard that will impress everyone.